KUKA provide a wealth of knowledge and experience as an industry leader in automated manufacturing. From concept to completion, KUKA will work with you to future proof your operations and promote business growth. We tailor our solutions to meet the specific needs of your business, supporting improved efficiencies, increased product throughput and enhanced quality output. 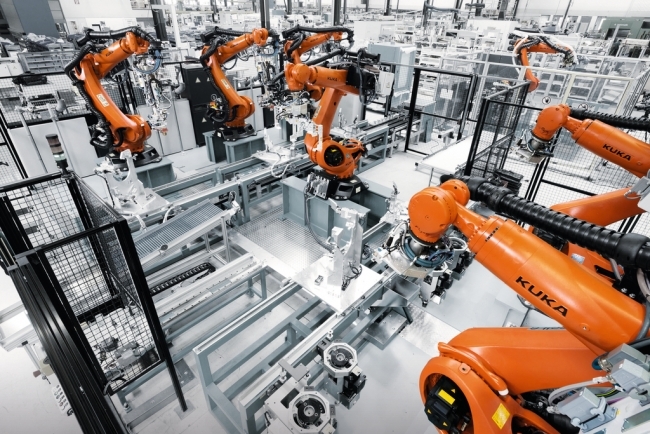 KUKA’s solutions are custom built and fully integrated into your application via our dedicated team of engineers, from a single unit to large multiple robot turn-key solutions. With a proven track record of serving manufacturers across a number of vertical markets, from automotive to pharmaceutical KUKA will always identify a solution with customer satisfaction at the forefront of its design, providing clients with the quickest route to production. 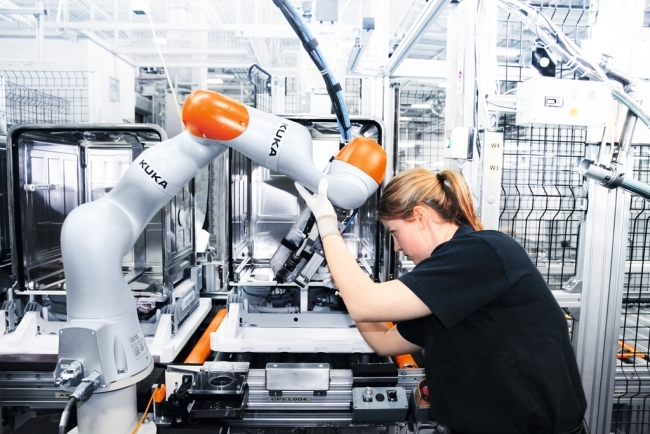 From industrial work alone units to collaborative robots KUKA can tailor a solution that supports business performance improvements within your operation. Our extensive portfolio covers all common payload categories and robot types. The KUKA Group bases its 400+ UK-based employees in four locations in Greater Birmingham as part of our commitment to be a lithe, decentralised modern business, operating close to our customers. Comprehensive after sales support, including on premise training, customer services and technical support available 24/7 further compliments our service offering. KUKA are able to provide a non-obligatory systems appraisal and identify where we may be able to develop a solution that adds value to your operations and supports your business’s growth.